Zach Guthrie is a Microsoft Enterprise Account Executive based in Orlando, FL. For the past 20 years he has worked as a practitioner, re-seller, implementer, and advisor of Microsoft technology solutions in the IT industry. Since 2015, he has served as an Account Executive working for Microsoft with Retail and Consumer Packaged Goods (CPG) enterprise clients in the Southeast region of the United States. 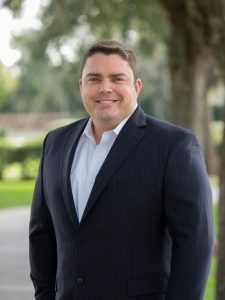 A Tampa native, Zach graduated from the Rollins College – Crummer Graduate School of Business in Orlando. I had the opportunity to speak with Zach recently and get some insight into how he operates. Several of his big wins this year started with Movere assessments, including a deal with a customer that brought in an 8-figure Azure commit. This deal alone has the potential to create several hundred million dollars of new revenue within the next 2-3 years so as you can imagine, we were eager to learn how Zach consistently generates such great wins for Microsoft. What are 3 key things you do to succeed? Blocking time for what’s important – It is crucial to prioritize my day so I can get all the important things done, especially when scaling across multiple clients or projects. Blocking out my calendar for these tasks makes it much easier to manage time efficiently. Insatiable Curiosity – I’m always researching new solutions or partners to expand my reach and network. At Microsoft, we are trained to be Master Discoverers. Communication – I share what I learn with my team, internally and with our partners. It’s important to me that we can learn from each other and build off a common knowledge base. How do you like to engage with new customers? What are their buying cycles? When are their other competing product renewals? When does their fiscal year start? What products have they budgeted for? What products do they need, but haven’t budgeted for? Then I find, categorize, and prioritize opportunities that meet the customer needs from there. For me, it’s about customizing a solution that fits the customer needs much more than it is about “selling” them products. How do you usually engage partners in your customer opportunities? Our teams are spread fairly thin. We might have the opportunity to speak once every other week with a customer, but then have to kind of move from one opportunity to the next. If there’s going to be meaningful follow up, we really need to engage a partner to own the opportunity and help drive it forward. I’ve always been a big fan of working with partners, especially having come out of that community. You’ve had a lot of success using Movere with some of your largest customers, from Acosta to Bloomin’ Brands, Stein Mart to Beall’s. What are some challenges you have experienced when selling Movere? The biggest challenge when selling into an enterprise is trying to educate individuals across multiple levels of the company. There are often multiple decision makers in different departments that would benefit from a solution like Movere. To be successful, you can’t just sell to IT as you traditionally would, you have to be curious and seek out the right audience. How has using Movere impacted your customer relationships? Leveraging Movere has led to deeper conversations with my customers and the opportunity to find unexpected solutions. An engagement may start with scanning one set of assets or servers, but once they start seeing results, the customer often wants to expand and include other areas of the business. This ends up broadening the scope of the environment being scanned and leads to a larger conversation about their whole environment. The opportunities we have to increase the scope of work and ultimately, increase the sales opportunity, are exponential when the customer is using a solution like Movere. Have you encountered any objections? The only objection customers typically have when it comes to using a solution like Movere is timing. Everyone understands the value if properly engaged, but some companies have lock-down periods, so they wait to start running Movere when it suits their business cycle best. Zach believes in maintaining strong partner relationships, advocating for his customers, and most importantly – empowering his clients to achieve more. His collective experience from enterprise to working for the U.S. Military, technology retail to three Fortune 500 companies, helps Zach relate to the challenges that clients face every day. By blocking his time, exercising his insatiable curiosity and sharing knowledge with his peers, Zach has enabled a culture of success around him that we know will continue to thrive.